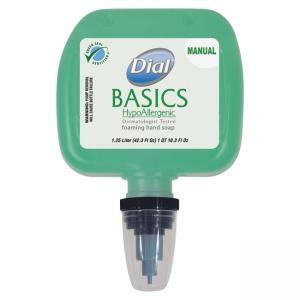 Foaming lotion soap refill is designed for use in Dial Duo Dispensers (sold separately). Ideal for healthcare facilities, schools, offices, restaurants, daycares and more. 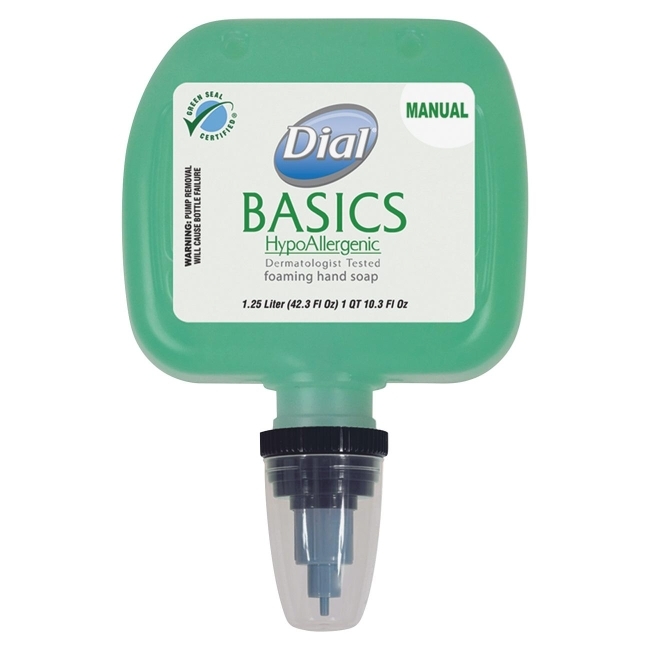 Dial Basics Foaming Lotion Soap with Aloe is a mild, pleasing soap that is gentle on the skin. Dermatologist-tested, hypoallergenic formula delivers a rich foaming lather with aloe and moisturizers in manual dispensers. The 1250 ml. refill cartridge is easy and hassle-free to load and change out. Collapsing refill design reduces maintenance by 25 percent and minimizes waste. The ratchet closure prevents bulk filling. 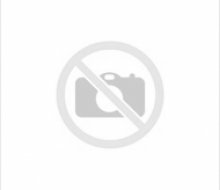 Refill cartridge is biodegradable and nontoxic to aquatic life.